*A connection between a knife found on the property where O.J. Simpson lived and the “murder weapon” used to kill Simpson’s ex-wife Nicole Brown Simpson and Ron Goldman looks to be nonexistent. Multiple law enforcement sources revealed to NBC News the knife appears to be inconsistent with the weapon used 1994 double-murder, noting additional comments from sources who say that it does not appear the knife was buried for a length of time that would put it in the time frame of the slayings. Referencing tests made on the knife, the site goes on to mention that it only had only dirt and mud on it. In its report, NBC News described the knife as a small, inexpensive weapon that is typically used by construction workers, gardeners, or landscapers. Found by a construction worker in 2001—at least seven years after the Goldman and Nicole Brown Simpson murders—the knife given to retired LAPD officer George Maycott while he was working off-duty near the former Simpson estate. The 70-year-old retired officer, admits he called the authorities, telling them about the knife. Nevertheless, Maycott was allegedly told that Simpson could never be charged in the crime because of double jeopardy. From there, Maycott’s attorney stated that his client held onto the knife in a bag in his garage for years and turned it over in January. In a statement released Friday, the Goldman family addressed the finding of the knife, saying that any discussion of the weapon being involved in the double-murder is “purely speculative” until police complete their tests. 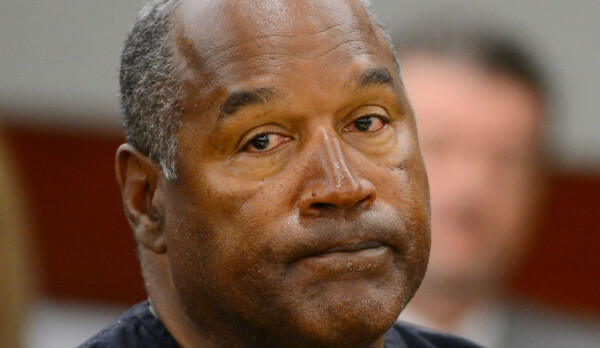 News of the inconsistency of the knife comes amid renewed interest in the Simpson case generated by FX’s “The People vs. O.J. Simpson.” At this time, Simpson is serving a nine to 33-year sentence in state prison. The sentence stems from the former NFL star’s October 2008 conviction for armed robbery and kidnapping charges. For more on the recovered knife, click here.